Controversy at Augusta! There was some debate about whether Luke Donald shot a 5 or a 3 at the par-4 fifth hole in today's opening round. Donald's scorecard showed a 3, but a bunch of eagle-eyed sportswriters no doubt watching on TV from the media tent looked up from their catered lunch to notice he had actually three-putted his way to a 5. Signing an incorrect scorecard is a cardinal sin in golf, so if the error was Donald's he would have been disqualified. The mistake turned out to be one of transcription, however. A scorekeeper misread Donald's card while faxing it, and that's how the result got posted. Crisis averted. 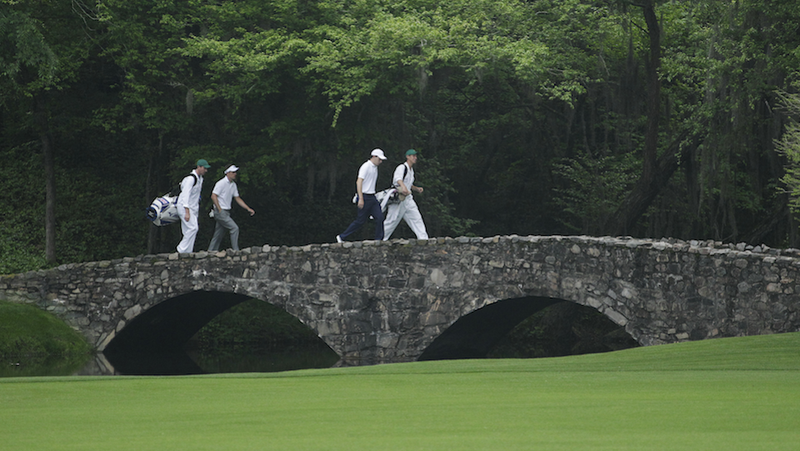 The Masters can hereby continue with its time-honored tradition of trying and failing to catch up with the 20th century.